Ever wondered who is at the other end of your phone call, email or letter when you contact the Environment Agency? That would be our customer service, registration and incident hotline team, known internally as Contact Centre Services. Our aim every day is to make it easy for you, our customers, to do the right thing for the environment. Whether you want to ask us a question about dealing with waste, report a flooding incident, inform us of pollution or buy your boat license – our team can help you. Each year our team talk to over 600,000 customers, answer about 85,000 emails, support the issuing of over 200,000 registrations and licences and ensure around 90,000 reportable incidents get to the right people in our organisation to respond to them. At the moment we’re busy supporting our customers getting what they need from our new and improved website recently moved to www.gov.uk Built on the basis of understanding our customers’ needs and having a website that truly meets them. Our team know listening to customer’s feedback and feeding this into our Digital team to keep improving is key. Our team pride themselves on the service they provide to our customers. When the opportunity presented itself to once again to support Sport Relief by volunteering our own time to be one of the Official Contact Centres taking donations on the evening of 21st March 2014, our staff across the Environment Agency stuck their hands in the air to came forward. 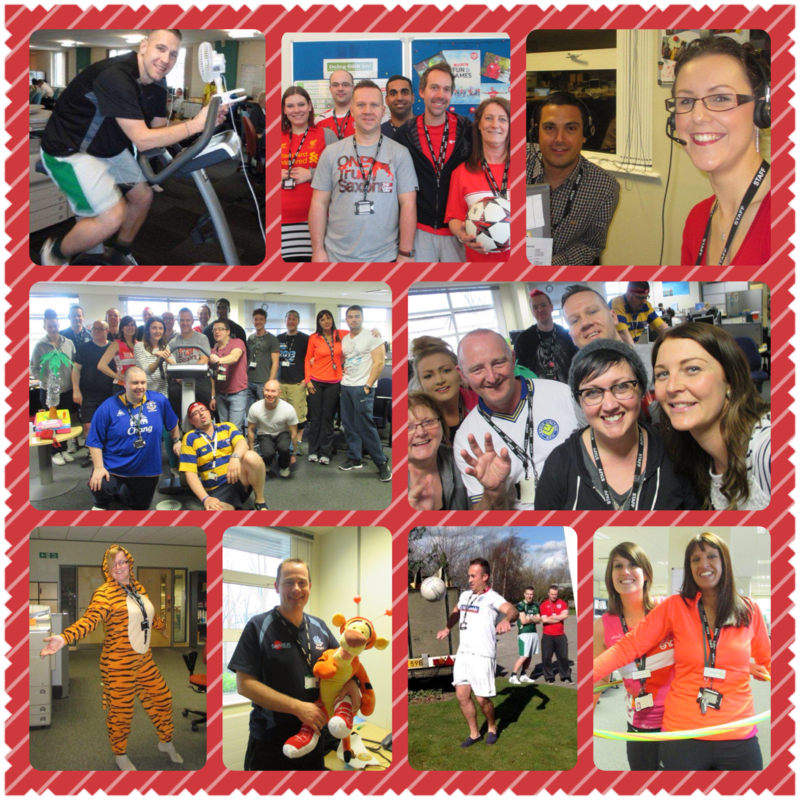 Around 80 Environment Agency staff of all roles and backgrounds from as far away as Exeter and Newcastle joined staff at Contact Centre Services in our Sheffield office and for 1 night only and became a Sport Relief Contact Centre. The team of volunteers knuckled down to the very important and serious business of taking donations, but we also managed to have a bit of fun through the evening to keep everyone going to midnight. Hula hoop competitions, Sport Relief Noughts and Crosses, Stand Up Bingo were just some of the fun and frolics had by all. At the end of a long day, our volunteers went home for a well deserved weekend with the knowledge that they had made a great contribution towards the exceptional fund raising totals Sport Relief received. Tweet the team with your questions @EnvAgency. Find information on how to contact the Environment Agency.